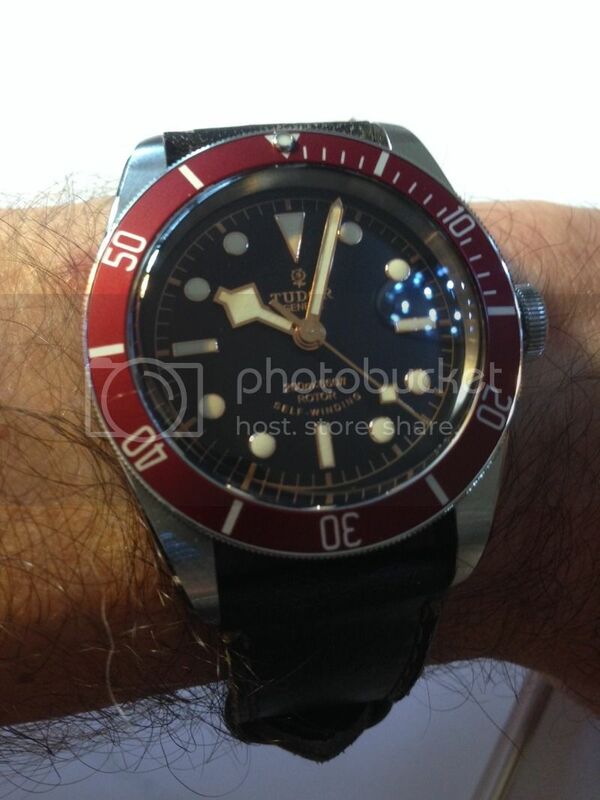 TimeZone : Tudor » Leather, cloth or steel? Which do you like best attached to your Black Bay Red, Blue or Black? (I wanted to create a poll but forgot how). I haven't tried the cloth strap but I'm thinking of getting the steel bracelet today or tomorrow for a try. Not sure though, I think the leather gives the watch a really unique look. Only problem is I would like it to be a couple of millimeters tighter and obviously there is no way to make an adjustment (other than to drill a new hole which I have done in the past). I might die broke but I will know what time it is! E.J. Previous Topic: Tiger watch of the day!